Integrative Healing Arts Acupuncture, P.C. Sharon Yeung MS, LAc and her associates at Five Seasons Healing in New York City offer acupuncture, Chinese herbal medicine, massage, qi gong and lifestyle and nutritional counseling to treat all your health concerns. Traditional Chinese medicine approaches the human body as part of the natural world and thus inextricably linked to natural cycles. Balance through nature~ Live pain free with acupuncture! Brian Chang, D.Ac., L.Ac., M.S., B.S. Tap Into Your Potential for Better Health...Naturally! Expert Acupuncture, Herbology and TuiNa - it works! Highly experienced problem solver. In practice since 1984 specializing in pain, musculo-skeletal complaints, digestive disorders, breathing, fertility, emotional problems and general health issues. With A PhD in Chemistry (prior to DC and LAc), I bring an intellectual and academic foundation to the more intuitive approaches demanded by the healing arts. 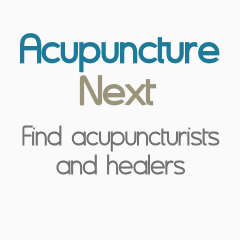 Licensed Acupuncturist in Midtown Manhattan. Received the Best of Manhattan Acupuncturists 2011 award. We only use disposable needles in my office and we are a safe and caring practice. Our clinic hours are from 10am to 6pm (some extensions are possible depending on the patient demand for the day), Thursdays, Fridays, and Saturndays.